Most Wanted! View the FBI most wanted lists. 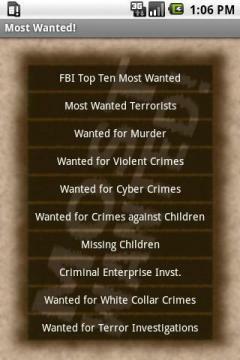 Including: top ten most wanted, missing children, most wanted terrorists, most wanted for murder, and more.